Province of Barletta Andria Trani, and the cities of Ferrara, Florence, Genova, Milan, Naples, Palermo, Rome, Terni, Turin and Verona. The main goal is to multiply celebrations all around the Italian territory in order to share with the public the stories of our families and in order to listen the stories of others. In this context, the slogan of this year event is “Every family is a Revolution”, a revolution that takes place from the bottom –up, a revolution that regards all Italians because the world of families is in continuous change and development. 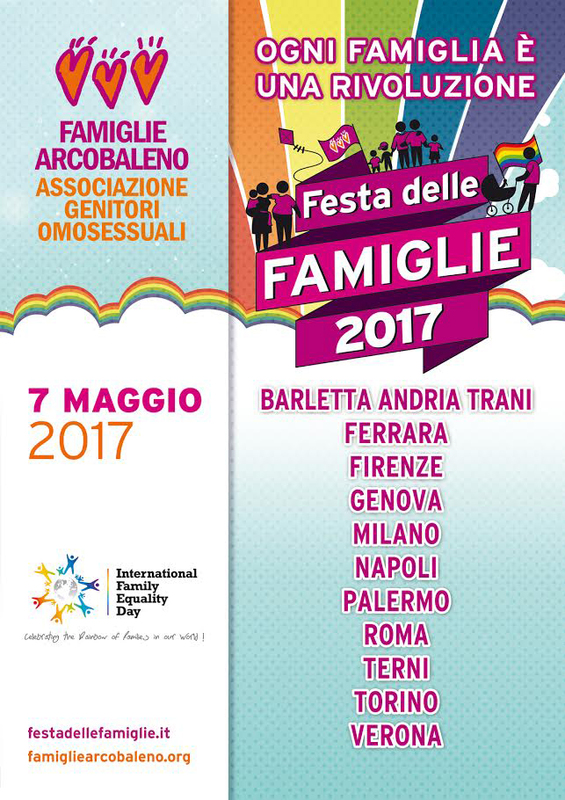 The 7th of May the main statement is that every family is special and unique in its own way and we will make clear that the most important concern is the wellbeing of all children, wellbeing that cannot be reached without the legal recognition of their rights and their loves. The IFED event will be a celebration day of games, tales, and music and will provide fun for all children and families.